A real Red Carpet piece. A row of round brilliant Diamonds with a centre stone and five smaller, graduating Diamonds on either side. The settings are fixed so that the row of Diamonds sits perfectly on the body. 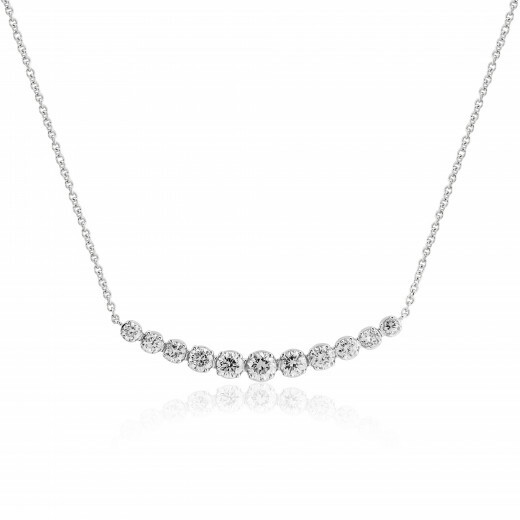 The Necklace is finished with an 18" White Gold fine chain.